The company’s five founders — Jackson, Lewis, Forbes and the Hallock brothers —sold their stakes three years ago when the enterprise was acquired by Trilantic Capital Partners for an undisclosed sum. In less than a year of operation, Budget Blinds was generating six-figure monthly sales figures. 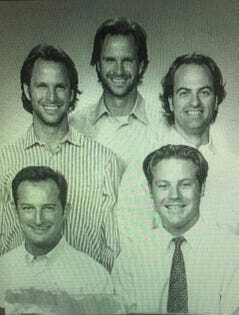 In 1995, to spur growth, Budget Blinds raised its franchise fee to $25,000 in order to incentivize franchise brokers, whose job was to lead prospective franchisees to the brand in exchange for a cut of the franchise fee. By 1998, Budget Blinds had sold 50 locations, and the following four years saw another 150 added to the tally. By the late 2000s, the company was selling locations at a healthy clip and Home Franchise Concepts (HFC) was launched as an umbrella company under which several home improvement brands could operate. The company subsequently grew its roster of companies by launching home storage and organization franchise, Tailored Living, and acquiring Concrete Craft, a flooring business. Home Franchise Concepts most recently added AdvantaClean, a cleaning franchise, to the mix. The decision to sell to a private equity firm stemmed from a realization that a home improvement network like HFC could be an attractive target, and the idea of exiting for a healthy sum appealed to the five guys, each of whom had been toiling at the business for more than 20 years. “There was definitely some burnout,” Hallock says, looking back. “The business had now gotten so big and the next step to make it bigger was over most people’s heads.” Growth, they figured, would come through acquiring and building new brands, which they had little experience with, as well as an upgrade to the technology systems with which it tracked and supported its franchisees. “The business needed a remodel,” Jackson concurs.